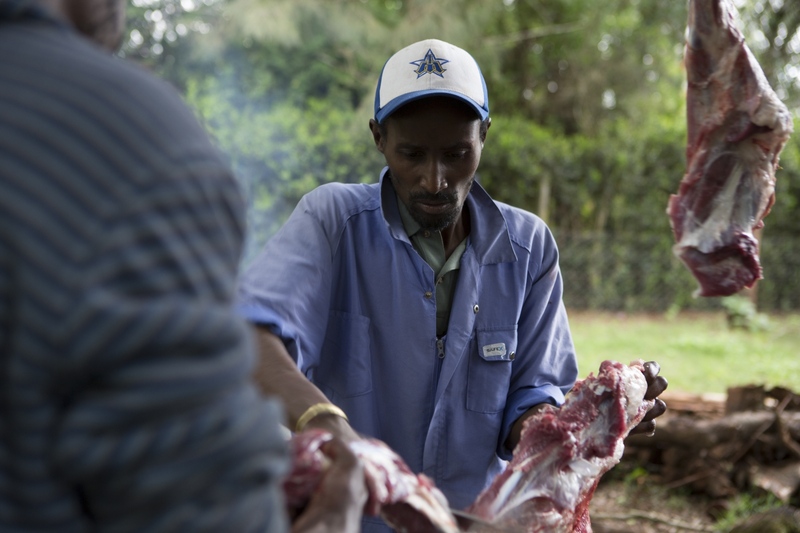 Nyama choma means “grilled goat meat” in Swahili. 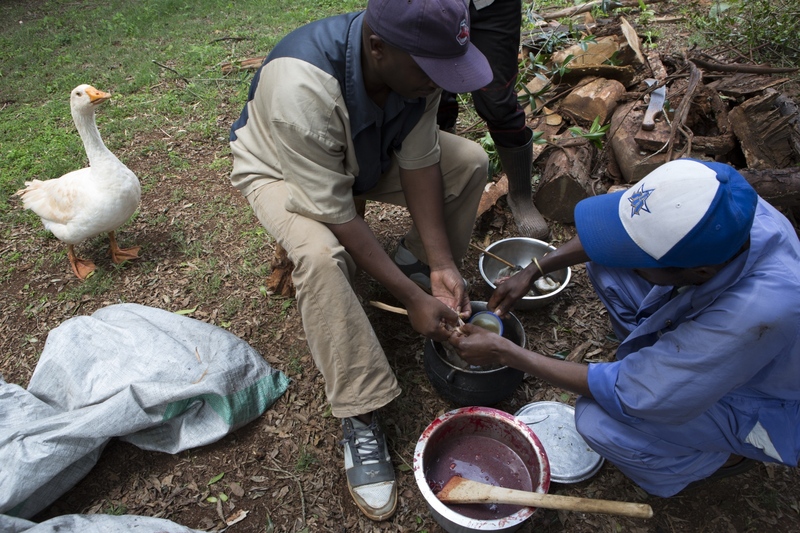 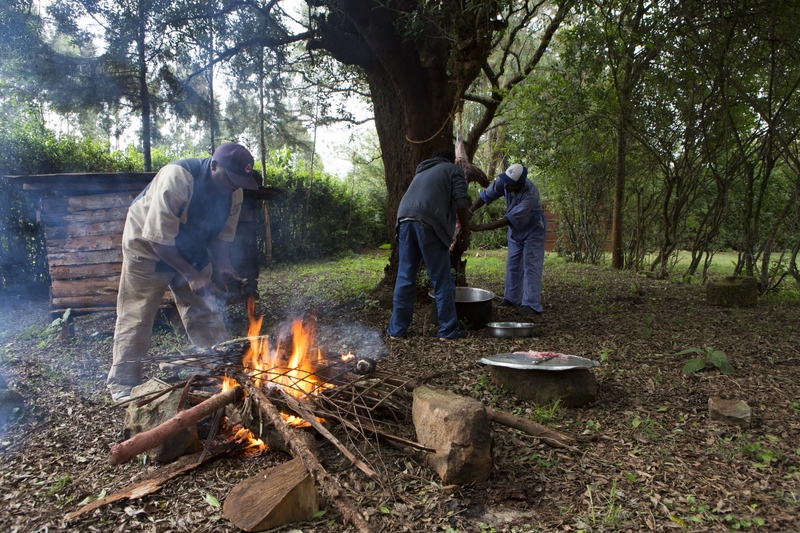 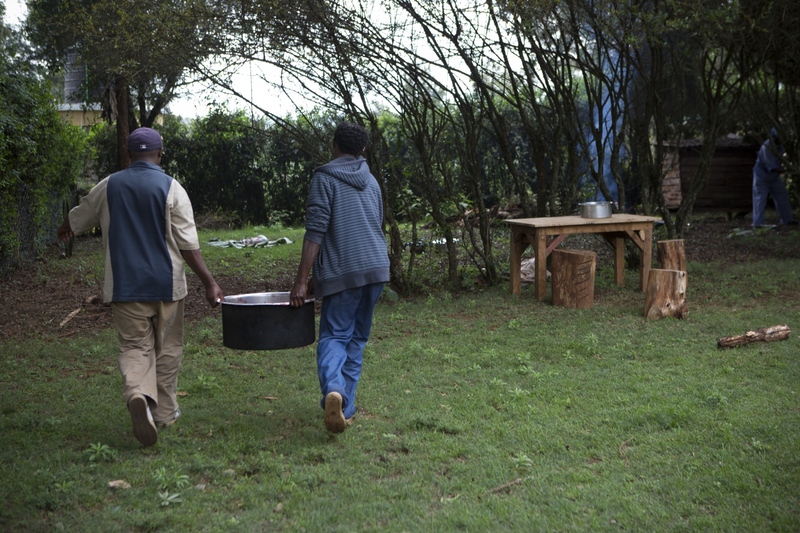 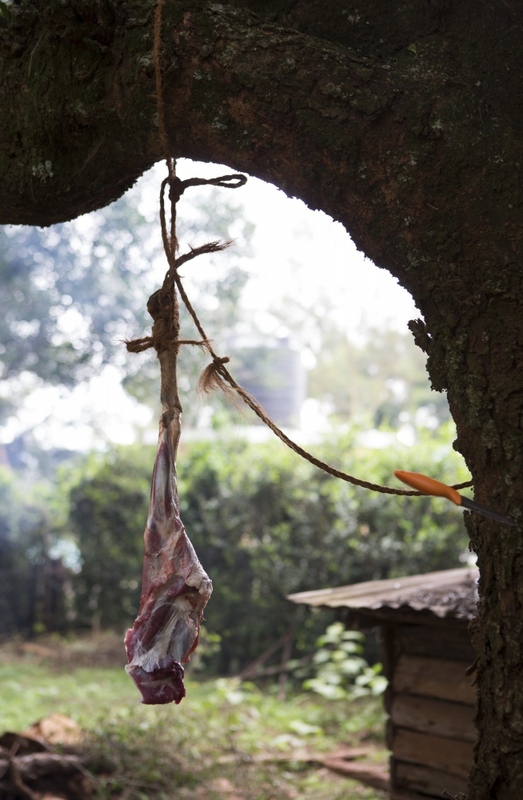 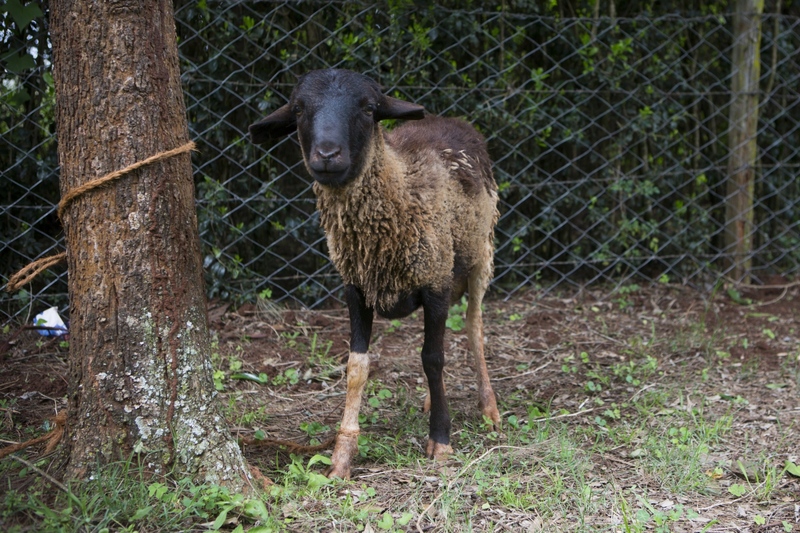 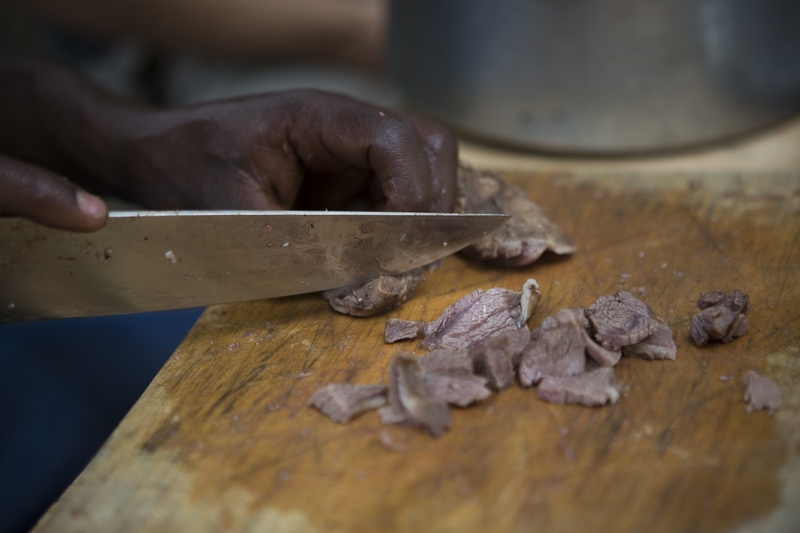 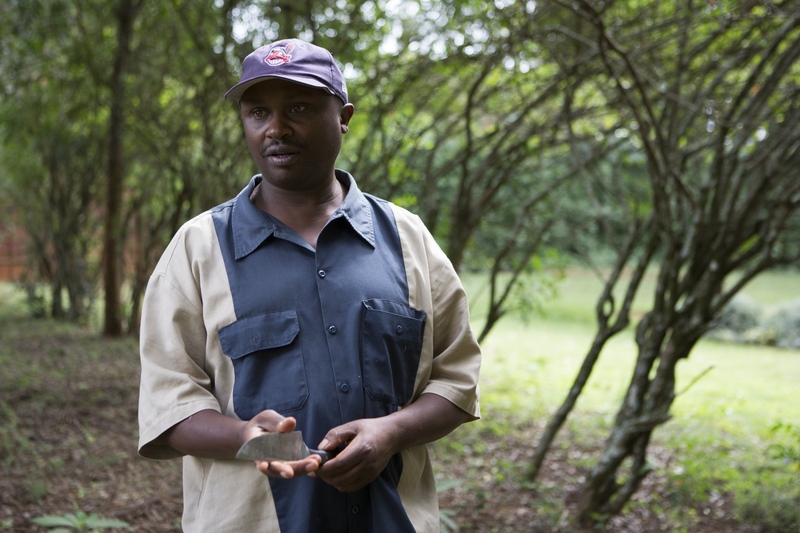 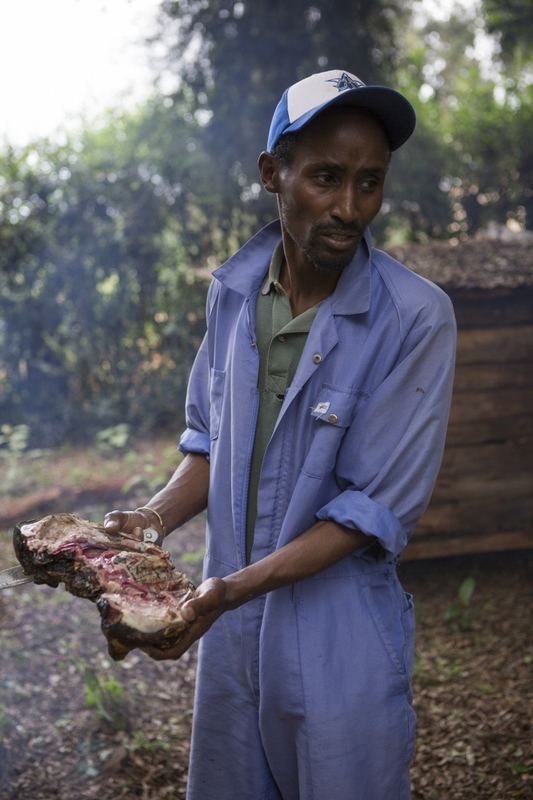 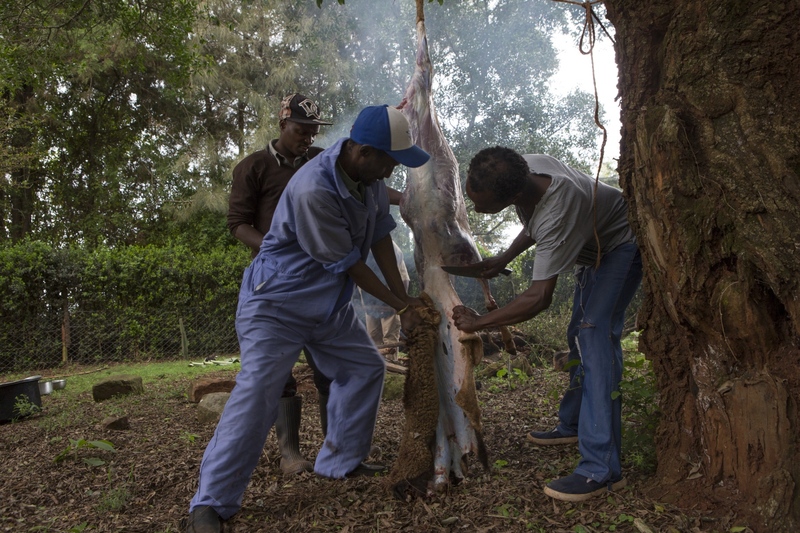 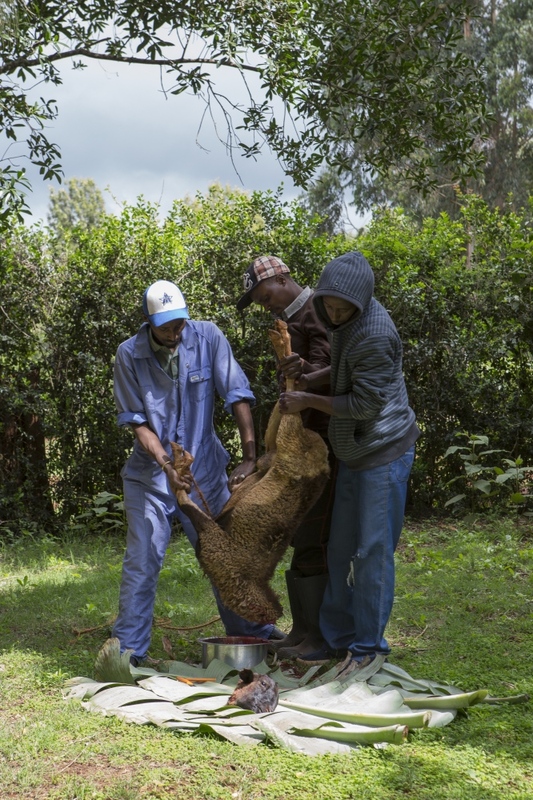 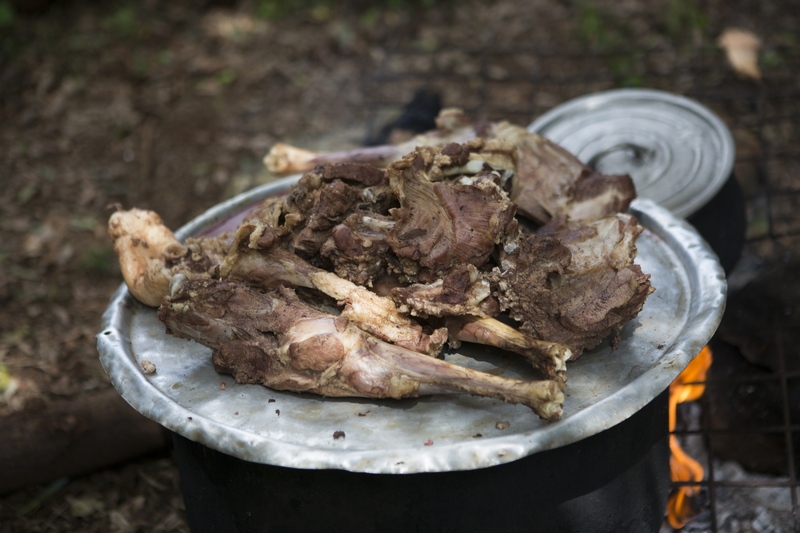 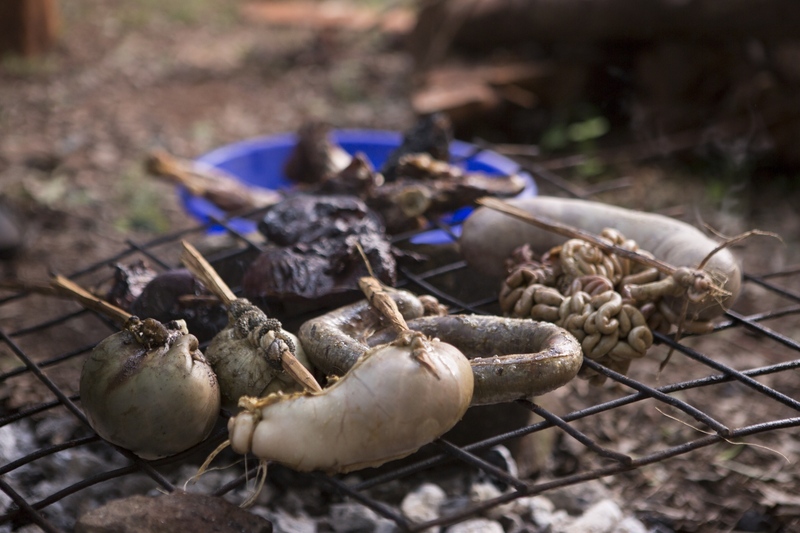 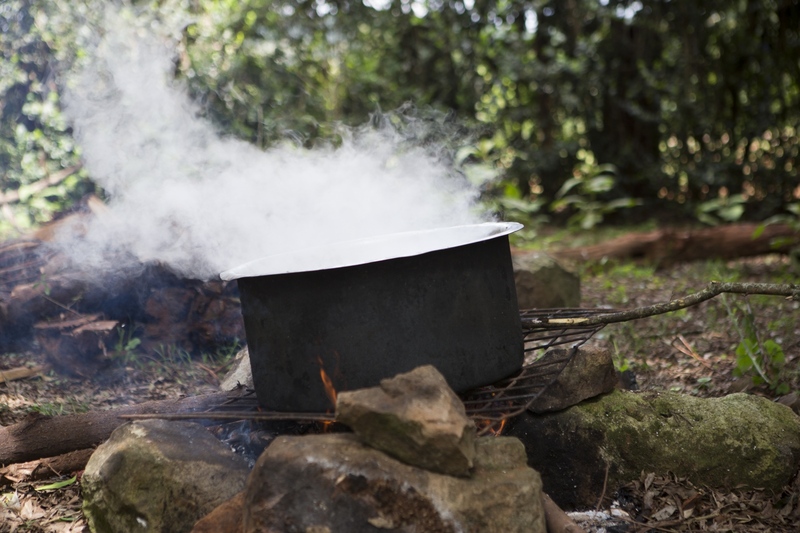 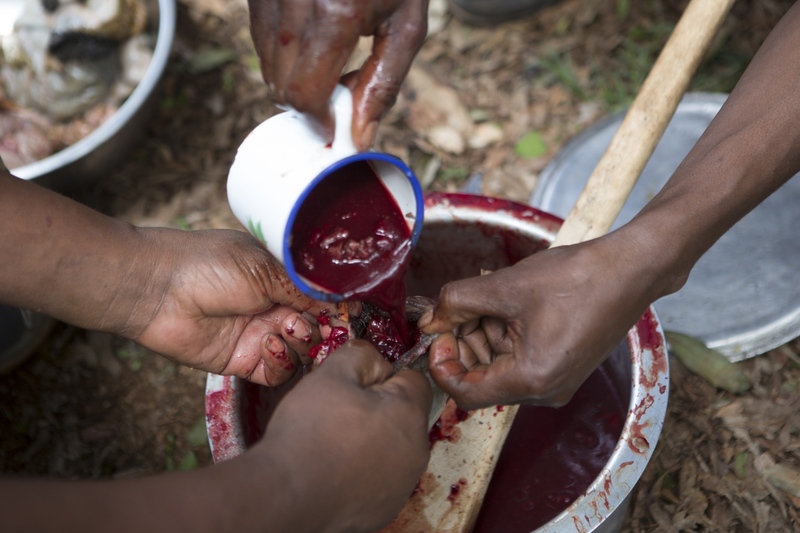 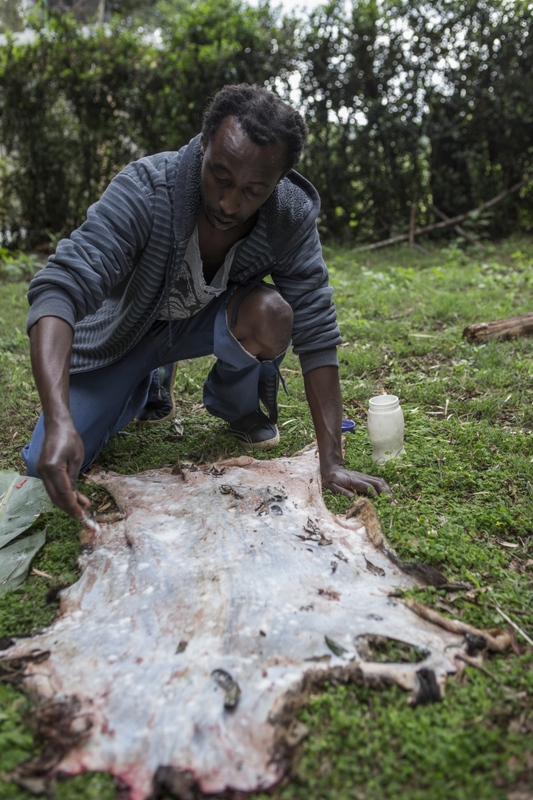 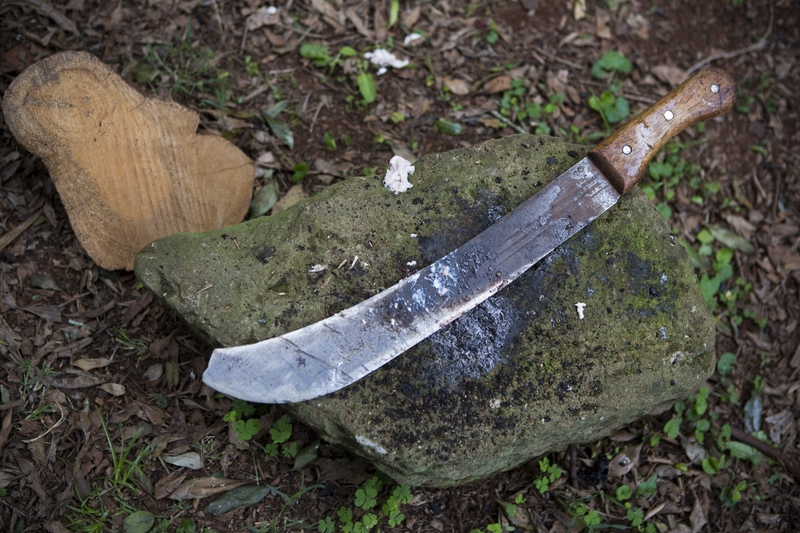 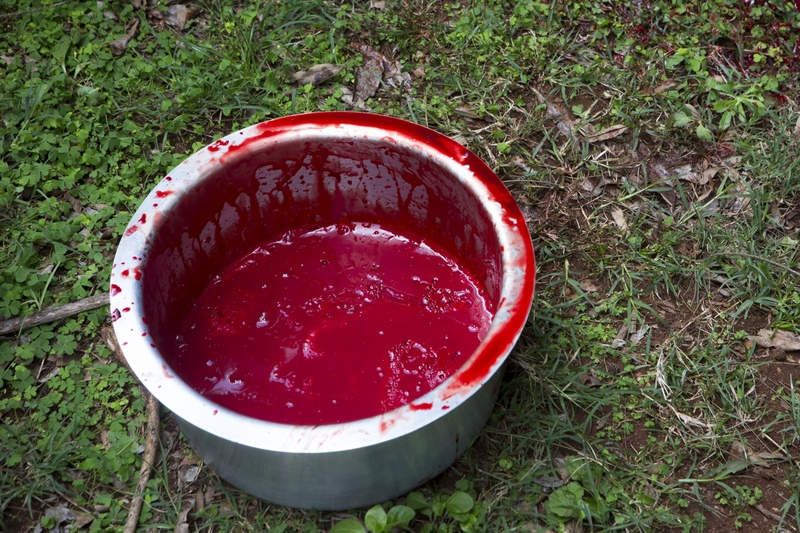 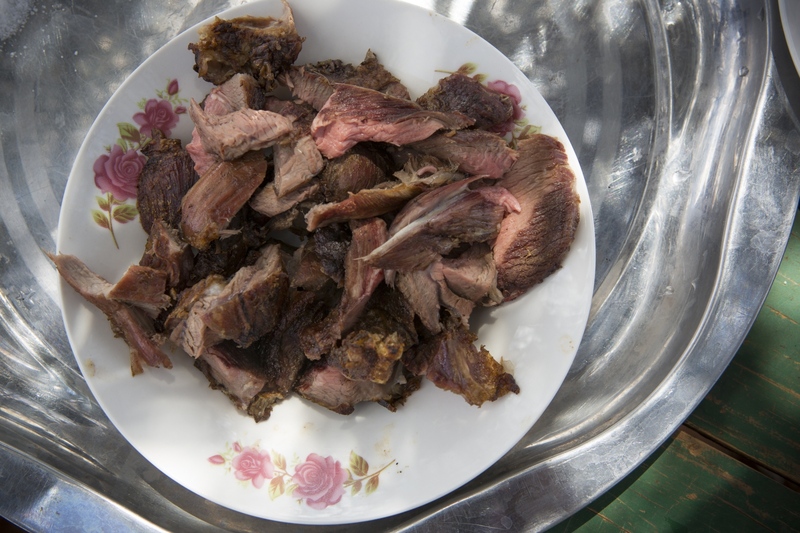 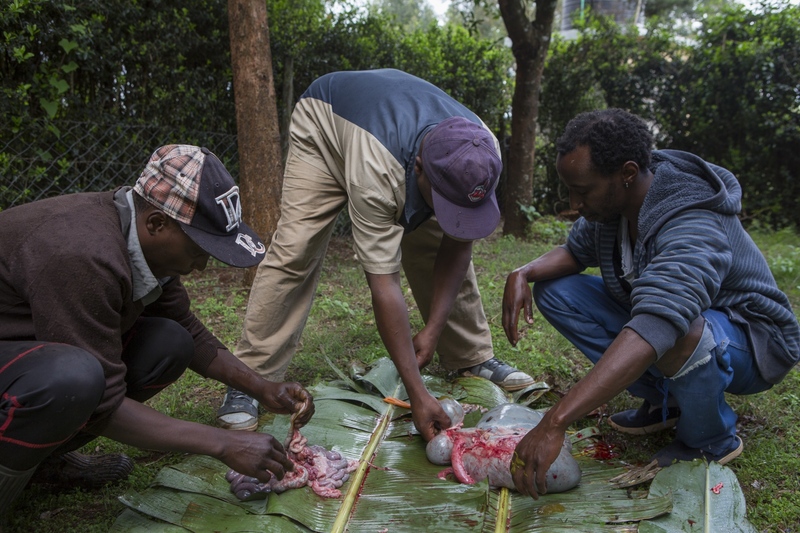 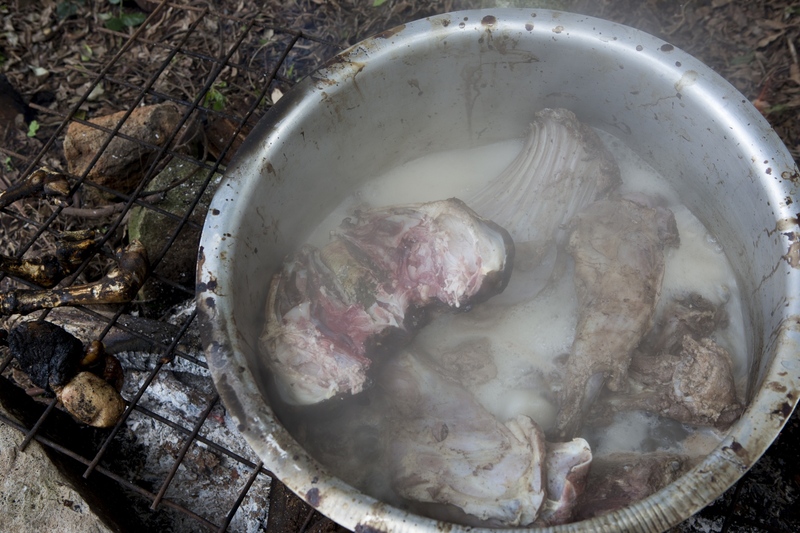 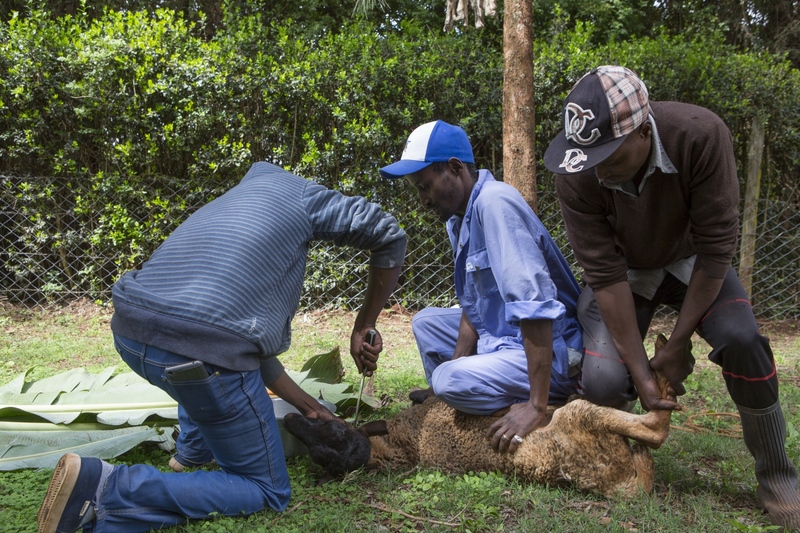 It is a popular Kenyan tradition to slaughter a goat and make nyama choma on holidays or family gatherings. 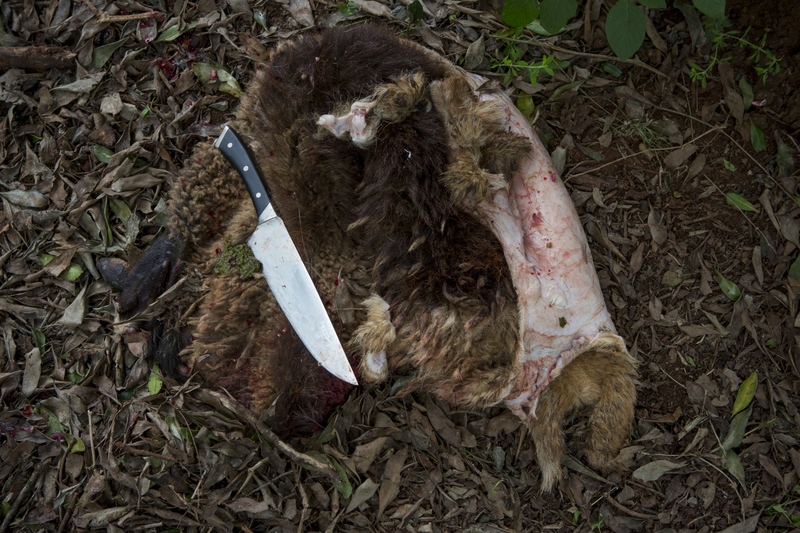 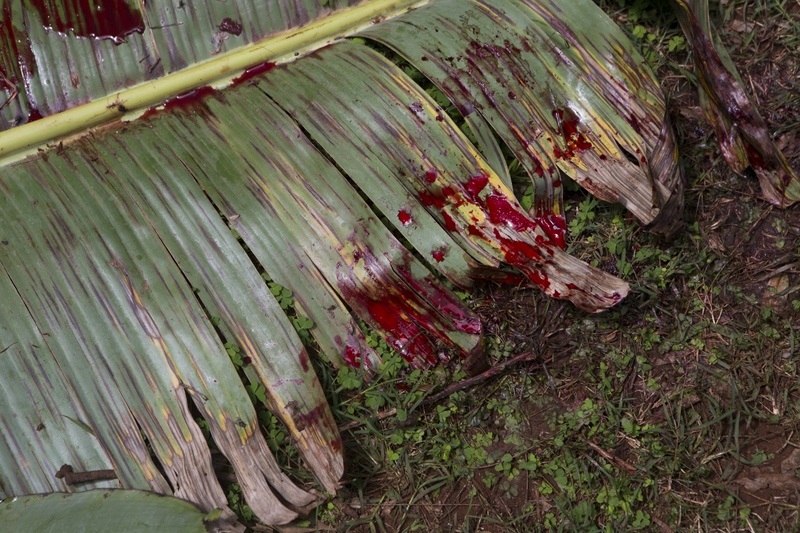 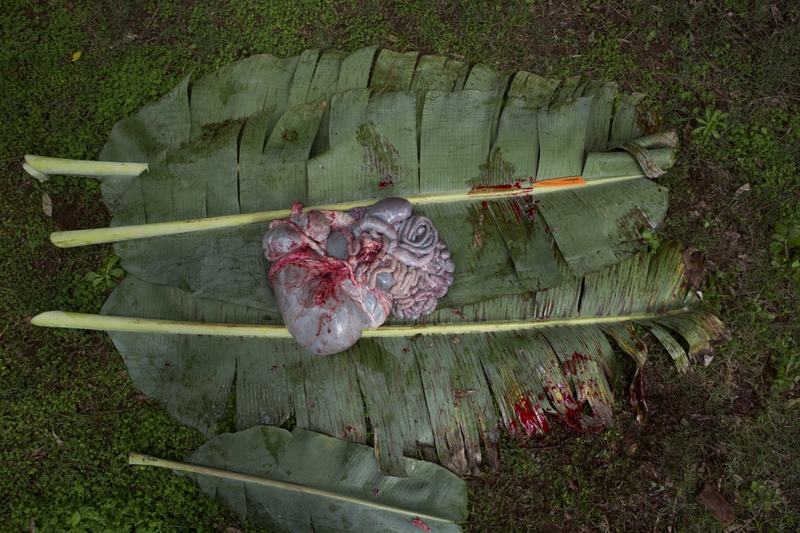 It is common to do the slaughter yourself, in your backyard. 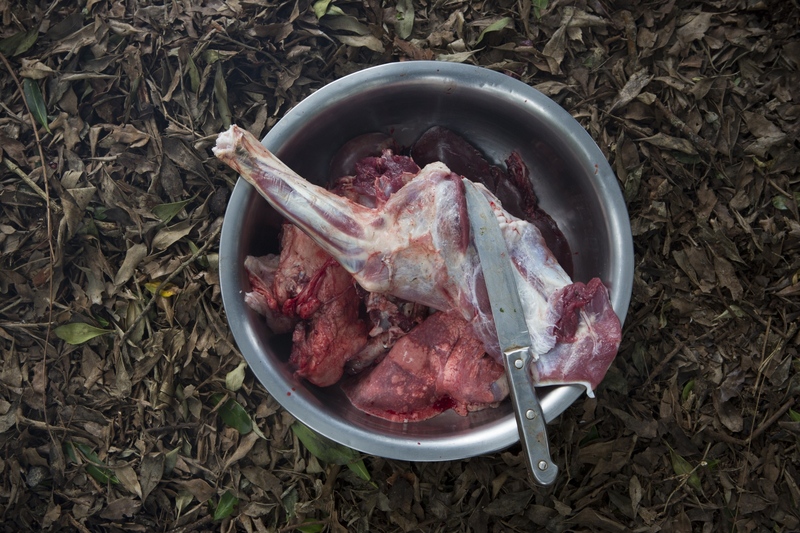 All of the pieces of the goat are used.